If you are looking for reconditioned engines and quality Citroen, Alfa Romeo or Chrysler spare parts in Sydney, you have come to the right place. That’s because at Auto Ice Parts, we are so busy with cars coming through our gates every day that we have a huge range of Chrysler, Citroen and Alfa Romeo spare parts on our Sydney shelves, ready for your call. Imported spare parts are really expensive, so it’s good to know that you can source all of your parts from the leading Alfa Romeo, Citroen and Chrysler car wreckers in Sydney. We not only have the best prices, saving you hundreds of dollars on your repairs, but all our parts undergo extensive checks to ensure that they are in good working order. If you need parts today for your vehicle, you can’t go wrong by calling the busiest Citroen, Chrysler and Alfa Romeo car wreckers in Sydney. It’s very unlikely that we won’t have what you want at our yard, but if that does happen, then it’s a sure bet that within a day or so, your part will be on our shelves and ready for you to pick-up. 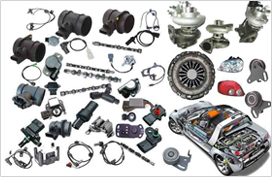 To check if we have the Chrysler, Alfa Romeo or Citroen spare parts in Sydney you need or to price a reconditioned engine, call Auto Ice Parts (Leading car wreckers/auto parts shops sydney) on 02-9892 1010, 9892 1110 or email mail@aaautoiceparts.com or complete an online enquiry form.